MADISON -- In collaboration with the Minnesota and Michigan Departments of Natural Resources, Ruffed Grouse Society, and Wisconsin Conservation Congress, the Wisconsin Department of Natural resources will begin a multi-year monitoring program this fall looking at West Nile virus (WNV) in ruffed grouse. The DNR is asking ruffed grouse hunters for their participation in this monitoring effort. Similar to past disease monitoring efforts, the department is asking that hunters submit samples from their harvested ruffed grouse using self-sampling kits. 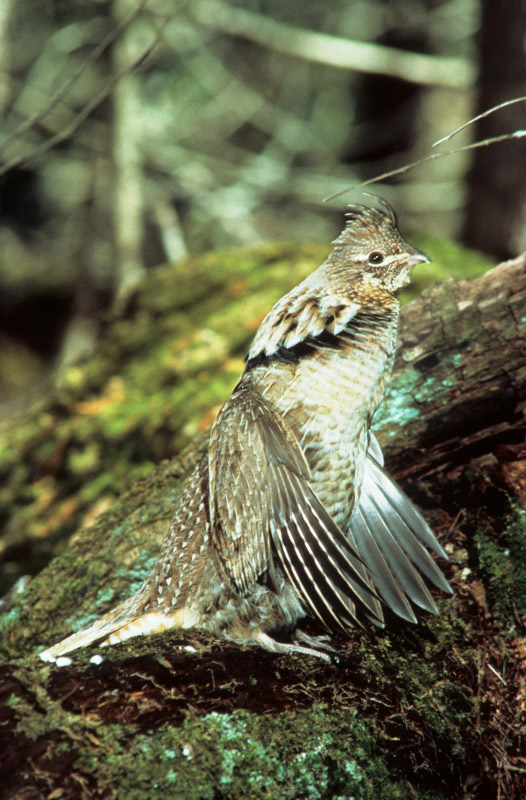 This effort will focus on the core ruffed grouse range in the central and northern forests. The DNR has assembled 400 self-sampling kits for ruffed grouse hunters to use in 2018. The WNV sampling kits contain detailed instructions and all the supplies needed to collect and ship one sample. Hunters will be asked to collect a small amount of blood along with the heart from their harvested grouse. If you hunt the central and northern forests and would like to participate in the West Nile virus monitoring effort, sampling kits can be requested through your county wildlife biologist and will be available in early September. The number of kits provided per individual may be limited to ensure samples come from a large geographic area. Hunters will be provided test results via email. Be aware that testing of samples will not begin until after the grouse season has closed and final results will not be available for several months after the close of the season. WNV is transmitted by the bite of an infected mosquito and there is no evidence that WNV can be spread by handling dead birds or by consuming properly cooked game. It is one of several bird diseases afflicting native bird species.